In a world where "plain" is considered a compliment, TLC will pull back the curtains to reveal the strict traditions of the Amish/Mennonite religion and lifestyle as cameras follow five people who have chosen to leave it behind and explore the world outside of their community. 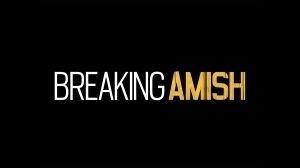 Breaking Amish, premiering Sunday, Sept. 9 at 10|9c, provides a never-before-seen look inside the lives of young men and women as they, for the first time, trade horse and buggy with taxi cabs to break out from their respective Amish/Mennonite communities in their pursuit to chase big dreams in the Big Apple. The groundbreaking series features nine hour-long episodes. Breaking Amish will shed light on many firsts for the cast members. From flying in a plane and wearing jeans, to using a cell phone and electricity, the show will highlight their transition into city culture and the basic amenities that come with it. Unlike Rumspringa, these young men and women get serious about the possibility of committing to careers, lives and options for living indefinitely on the outside. But after these new experiences and the opportunity to live out dreams take flight, will they take advantage of New York and carry out their newfound lives while leaving behind the Amish/Mennonite community and their families forever? The decision to pack up their bags and leave town does not come without a hefty price. Breaking Amish will unveil the disenchantment of family members who are forced to shun their own children, siblings and grandchildren as they decide to explore a world beyond the limitations of their simple upbringing. Should these "rebellious" Amish/Mennonite members decide to forgo Western luxuries and return to their previous lifestyles, they risk the probability of being shunned by their community altogether -- including the family, friends and life they once knew so well. Miriam, Vonda, Barbie, Bates and Matthias—mulling a move to Brooklyn, where they will have to adjust to life in the city and wonder if they'll leave their rural communities forever. The group set out for New York City, but some find the past may be hard to leave behind. The group stay in a hostel on their first night in Brooklyn, and spend the next day exploring New York City, including Times Square. The group visit Central Park and the Statue of Liberty to relax, but the mood is spoiled by an unexpected arrival. Meanwhile, Matthias mulls telling his wife about a recent transgression. Miriam tells Matt's wife the truth about their hookup and the group deals with the fall out. Meanwhile, Bates works on launching his acting career and Vonda tries online dating. The group decides to ditch their Amish clothes, but one of them goes missing. Miriam focuses on her dreams, Matt's marriage takes a drastic turn and Bates is blind-sided by his girlfriend back home. Matt and Bates go home to salvage their relationships with the women they love, but Bates begins to realize it may be too late and that his real family may be in New York. The Family is brought together by Miriam's return to New York, but not for long; Bates focuses on his acting career but misses his mother support. Matt's spirits are high after his first live musical performance, but his mood changes after hearing shocking news from Venus. Meanwhile, Vonda starts to get over her late boyfriend; and Bates mulls a life-altering decision. After returning home to face their new reality, the group struggles with their decisions to return Amish or stay in the English world.